If you’ve read our previous trip reports from Tiger Beach, you may as well just skip to the shark images because I’m basically just going to say how awesome it was again. As usual, Tiger Beach delivered but we did have one setback. This was an extended trip that we promote as a Bahamas Shark Safari because we try to visit Bimini after TB. Unfortunately, due to a storm that was pounding the coast of Bimini, our hammerhead spot was inaccessible so we stayed at Tiger Beach for the whole trip. Luckily that worked out fine because Patches (Tiger Beach’s resident great hammerhead) was in the neighbourhood so everyone got plenty of images of hammers anyway. At one point, another hammer showed up too but the second one was shy and didn’t stick around. The tiger shark action was excellent. I think we had 8 or 9 tigers at one point but its very difficult to count tigers when they’re constantly swimming in and out of visibility. Speaking of viz, there was a bit of wind but nothing we couldn’t handle. Sometimes it turned the water a bit green but we had plenty of crystal clear dives too and had endless opportunities to enjoy the tigers. We also had a couple of bull sharks in attendance. The bulls kept their distance because we were smart enough to not let them get any bait. 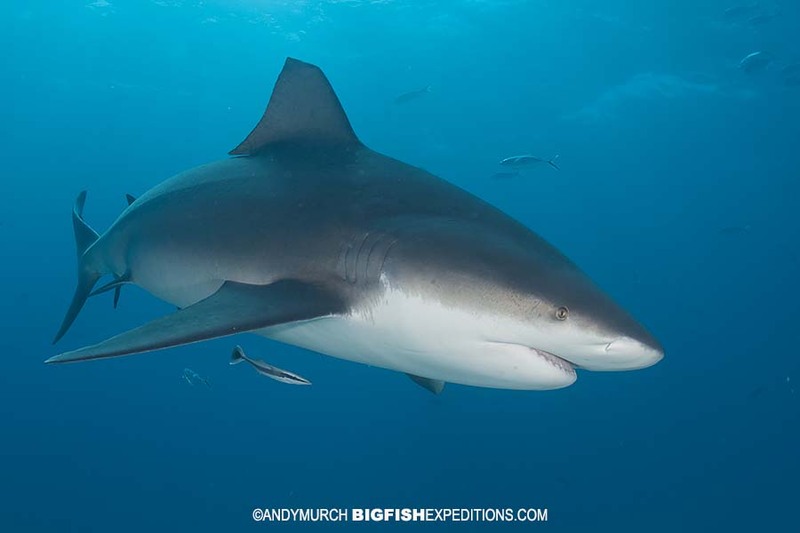 If they do have a chance to feed, bull sharks often become too aggressive which affects the overall shark encounters. Although the bulls were difficult to approach, by dropping to the sand and not making too much eye contact, it was possible to get close enough for some nice bull shark portraits. 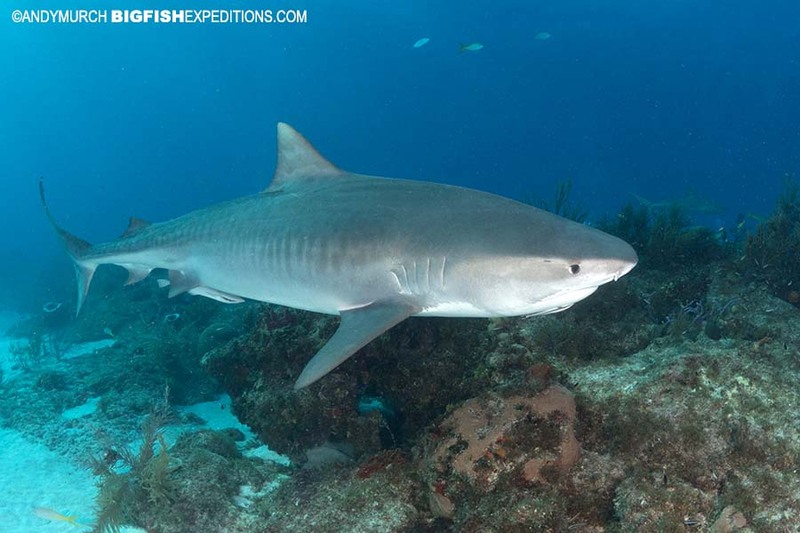 Of course, all of the other shark species that one would expect to see at Tiger Beach were swimming around constantly. I would estimate that we had around 25-30 reef sharks patrolling around the boat. It is interesting to see how large some of Caribbean Reef Sharks have become over the 14 years I have been visiting Tiger Beach. Some of the original reef sharks are long gone but the small ones from our early visits have grown into girthy 2m long adults. Some that we saw were clearly pregnant too, so there is no reason to think they won’t be around for many years to come. This is a testament to the forward thinking protection measures that the Bahamian government put in place decades ago. If they had allowed local fishermen to come in and fish out the sharks, Tiger Beach would be a wasteland by now and we wouldn’t go there anymore. 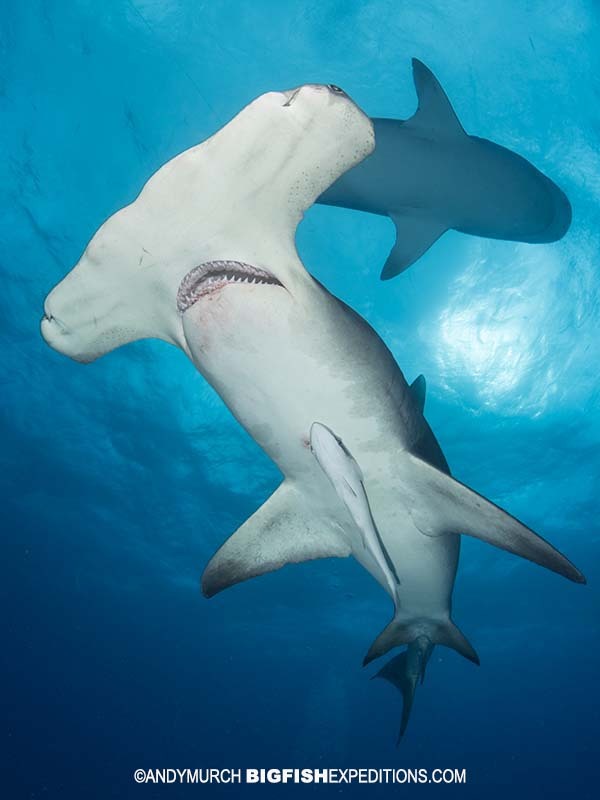 But because the sharks are safe, liveaboards continue to visit Little Bahama Bank, bringing much needed revenue to the economy of the Bahamas. The lemon sharks were also nicely cooperative. As well as providing endless portraits down on the reef, at the end of the day we enticed them up to the swim step of the Dolphin Dream so that we could try our hand at Lemon Snaps. I gave my usual speech about how easy it is to wreck your camera by hanging it over the transom when a dozen big lemon sharks are thrashing around in search of bait but a few guests threw caution to the wind and joined me in the quest for the perfect lemon snap. This is my favourite part of any trip to Tiger Beach. 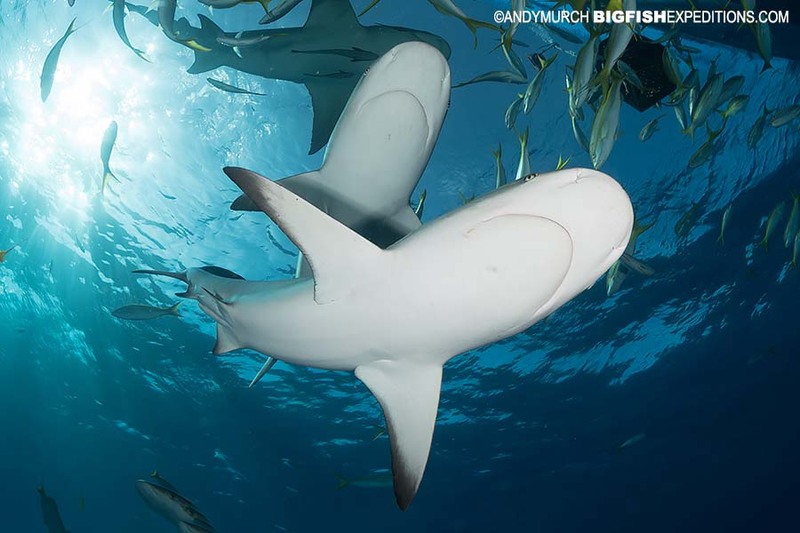 I have managed to take some great images of lemon sharks breaching the surface, over the years. I’m not saying I have the perfect lemon snap yet but every year I seem to come home with a new angle. 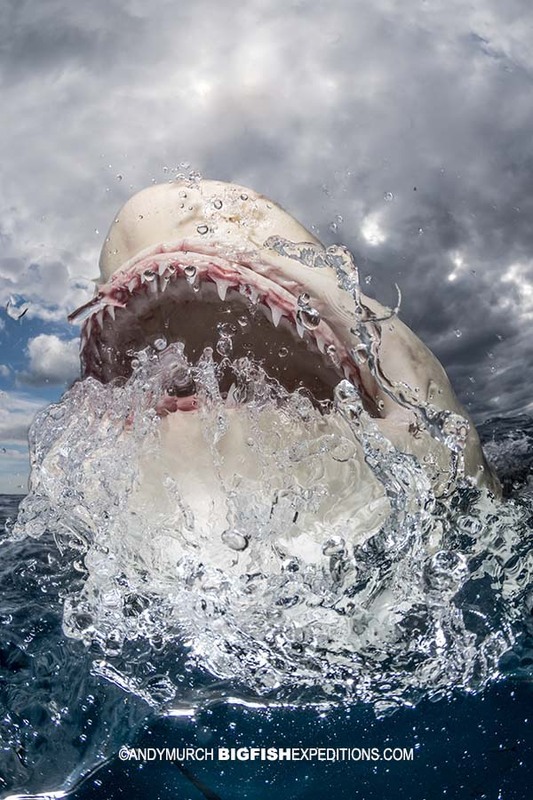 From this year’s adventure, I particularly liked this image of a lemon shark erupting from the sea. 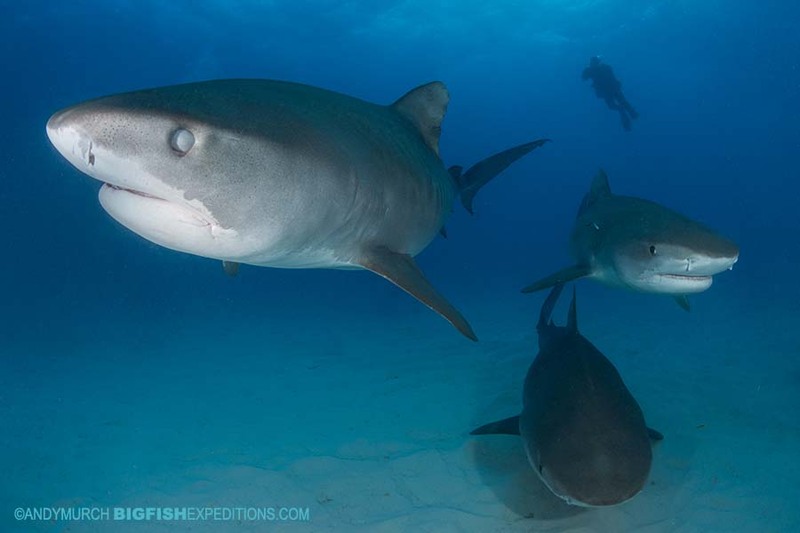 Lets not forget about the nurse sharks. I’m not sure how many there were; probably just a couple but they stayed around and made a nice distraction from shooting tiger sharks all day. 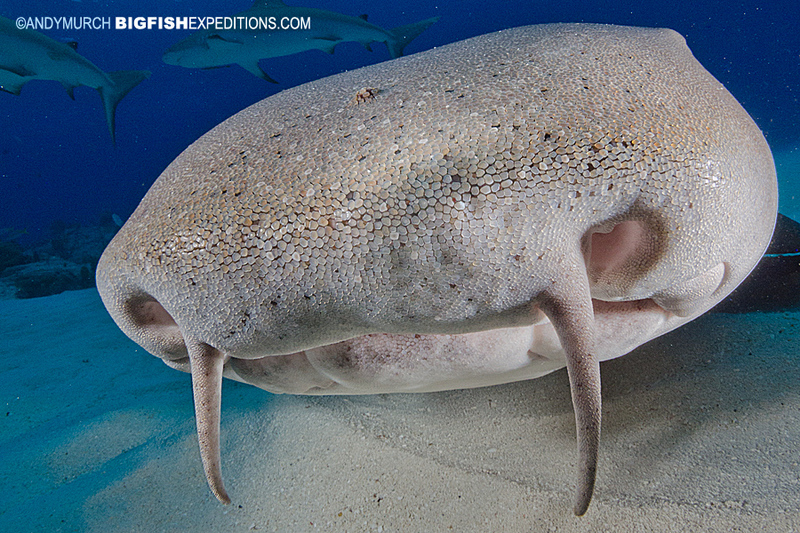 Nurse sharks are extremely important scavengers that clean up the reef when other sharks have given up searching for hidden scraps. Nurses are also extremely cute and have a great disposition. They can definitely do a lot of damage if they latch onto your hand but unless you literally wave your fingers around infant of their faces, you’re unlikely to come home with anything more than some pretty pictures. 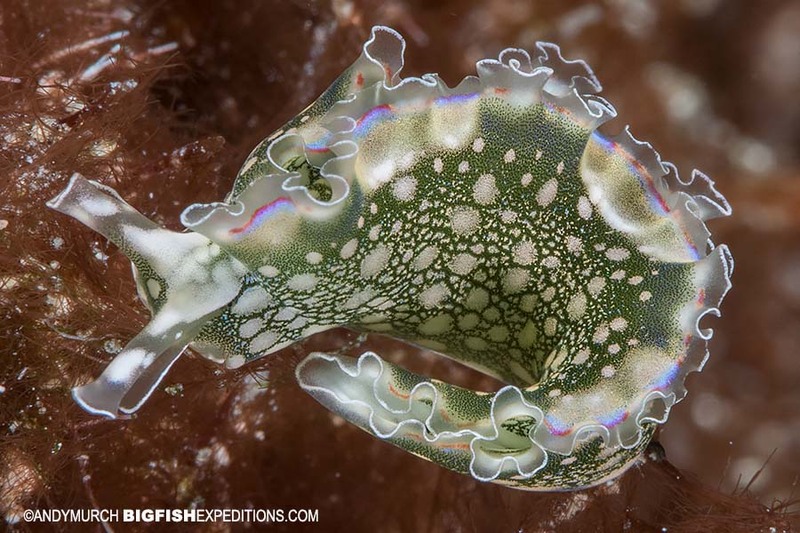 Macro diving at Tiger Beach! With all six shark species in the bag and everyone happy with their images, I decided to switch to macro and look for some of the tiny creatures that don’t get much attention at TB. I definitely got some funny looks diving with a 105mm lens, with scores of sharks around me, but after more than a decade at TB and thousands of shark images squirrelled away, I could afford the time to branch out a bit. After a long day of shark diving, most guests want nothing more than to relax and chat in the salon of the Dolphin Dream. However, just because we’re no longer in the water, doesn’t mean the sharks swim away. One night we slipped back in after dark. This is not a good time to feed but it is an excellent time to get some punchy shots of the white bellies of the sharks against the inky background of Tiger Beach at night. 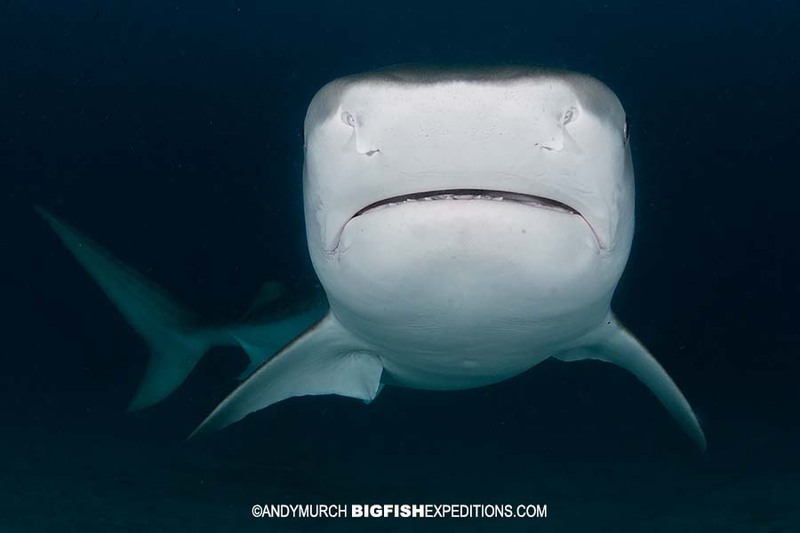 I will be leading our week-long April 2019 Tiger Beach trip which is always a good time to go because there are still plenty of sharks and the weather is generally excellent at that time of year. However, next November, our extended trip will be led by celebrated pro-shooter, author and Scuba Diving Magazine columnist Jennifer Idol. Jennifer is an extremely talented underwater photographer who is always willing to share her knowledge with anyone that wants to hone their photography skills. We are thrilled to have her on our team and looking forward to working with her on a number of our big animal trips over the next few years. Join Jennifer this November for our 2019 Bahamas Shark Safari.